KI has revealed its new Take5 lounge seating collection, inspired by mid-century styling and designed for today’s workspaces. The collection’s single, two and three-seater sofas with low or high backs are complemented by ottomans, coffee tables and side tables. Take5’s pillowed shapes and curved armrests are evocative of a teddy bear, instantly inviting the user to feel comfortable and relaxed. The space beneath the armrests also acts as leg room, allowing the user to pivot to the side. The flat top of the armrests double as both a secondary seating surface and a worktop for notebooks or laptops. Each sofa can be fitted with power and USB modules. Matching or contrasting upholstered high backs can be added to reduce distractions, increase a sense of privacy and for noise reduction. Featuring a platform base and angled feet made from solid beech the collection complements KI’s EC4 range of workstations, tables and storage plinths. Together, these elegant products help create a more domestic atmosphere in the corporate workspace. Method Recyling, the company behind the design-led recycling bins, is launching in the UK. The products, which have won several design awards in New Zealand, are already being used by a select few UK businesses including several architects practices. 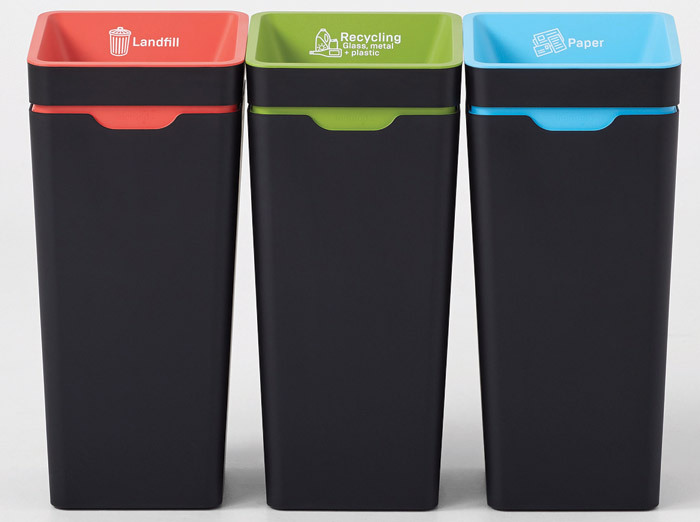 The adaptable recycling stations, which feature containers for glass, organics, paper, landfill and mixed recycling, move or grow as a company’s needs change while the colours complement the office design. The company was founded by product and graphic designers, India and Steven Korner, so a strong visual design is central to the product’s vision. The UK launch follows seven years of research, design and development in New Zealand and Australia where the products grace the offices of organisations such as Xero, Canva and Sydney Cricket Ground. 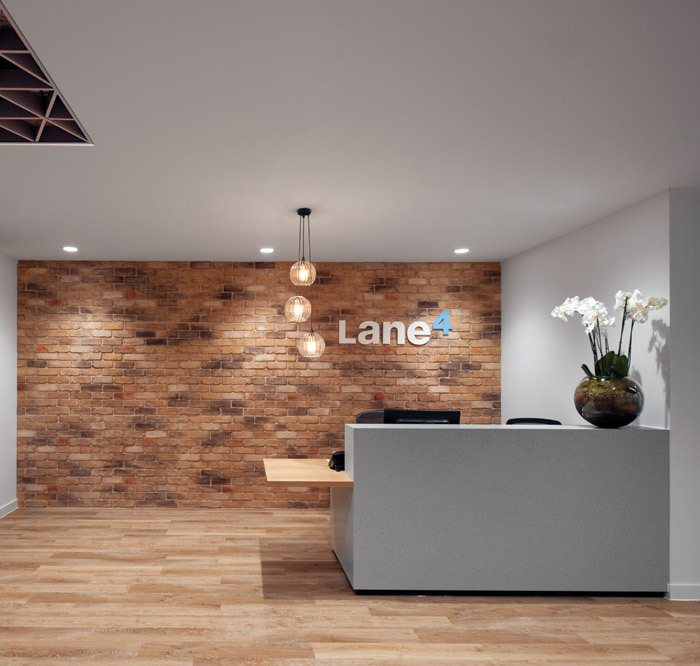 Award-winning management consultancy firm Lane4 has moved into its new Maidenhead office, designed and fit out by Morgan Lovell. The 1,580 sq m space in the TOR Building will allow Lane4 to continue to expand its services for clients. The business was set up by British Olympic gold medal swimmer Adrian Moorhouse and is named after the fourth lane in swimming given to the fastest qualifier. 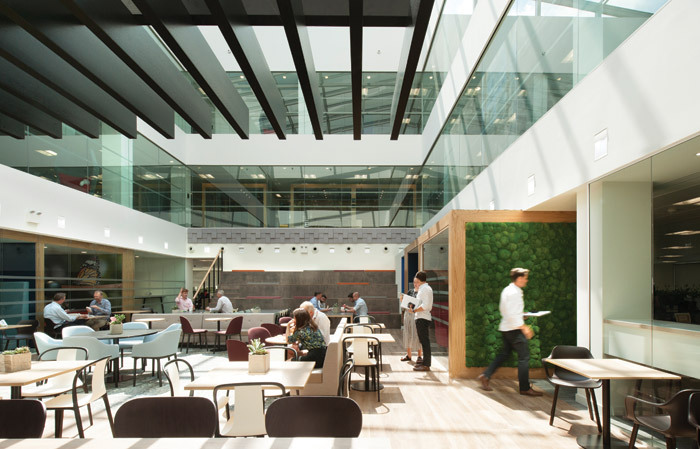 The design by Morgan Lovell’s Bracknell office made the atrium kitchen and breakout area the heart of the new office, bringing everyone together in an informal and relaxing space. 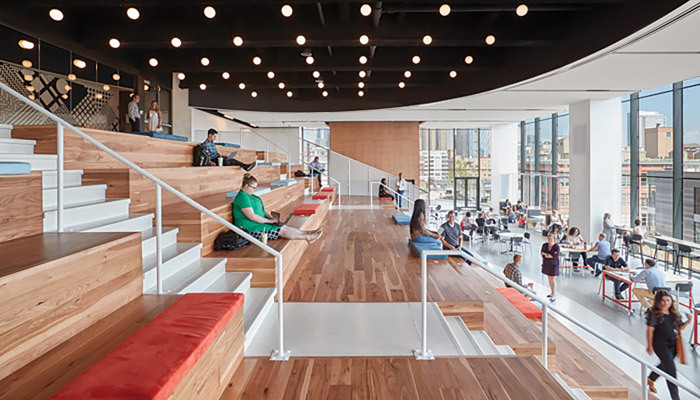 Sightlines across the atrium space have been carefully maintained with extensive use of glass achieving a view of the entire office from almost every seat. Biophillia was also used extensively throughout the fit-out; with moss walls, feature trees and plants. McDonald’s has opened a new corporate headquarters in Chicago’s vibrant West Loop neighbourhood by unveiling the state-of-the-art building that had been covered in a 21m-tall and 143m-wide wrap dotted with Big Macs for the grand opening. Several outdoor terrace spaces and a ninth-floor fitness centre with picturesque views of Chicago. The LEED certifiable building reflects McDonald’s commitment to sustainability. All waste produced in the test kitchens will be composted, and the building also features a green roof. Throughout the building are nods to McDonald’s heritage including museum quality displays of Happy Meal toys, vintage memorabilia and a tribute wall to McDonald’s groundbreaking leaders, inventors and owner-operators.